Want 52 great ideas for how to build trust in your organization? 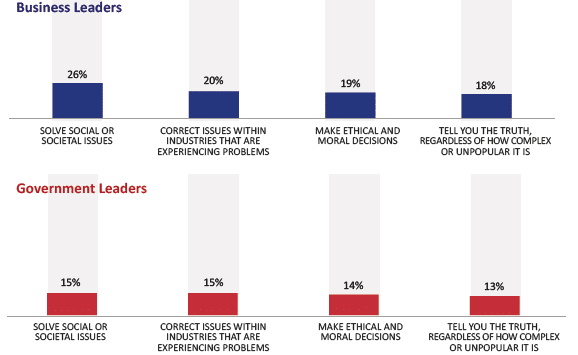 The annual Edelman survey reveals that less than 20% of business and government leaders are trusted to tell the truth, or that they make moral and ethical decisions. See their 2013 data below. Such lack of trust is devastating. This wall poster sells for $7, but I’ll send a pdf of it for free to the first five people who contact me at bob@triplecrownleaship.com. Trustworthy organizations outperform. 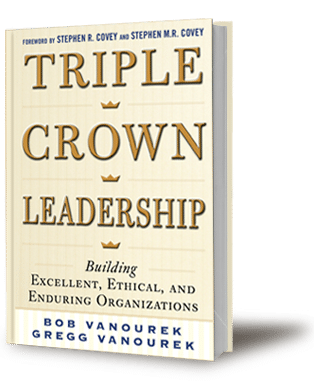 Bob Vanourek is the former CEO of five companies and the co-author of Triple Crown Leadership: Building Excellent, Ethical, and Enduring Organizations. His next book to be published in May 2016 is Leadership Wisdom: Lessons from Poetry, Prose, and Curious Verse.